Madam Rosamie was that the Dowager was always so nice to everybody else. Now I’m not sure at what age a girl will start buying her own underclothes. than you might normally expect to find. might mention that several girls did make good and happy marriages. and the steady flow of potential customers finally dried up. have in their time tried all the same ploys that they are now attempting. fact that this part of the garden was a maze of winding paths and bowers. between two rose bushes and be in a position above and behind her prey. Her struggles were to no avail, merely getting her more tightly entangled. the brambles. After brief discussion this was discounted. abandoning it to the thorns. cook used to cut the hair of male staff and applied them. Now I am no brute. enthusiastic souls who had remained the order to pull heartily. path and I untied her ankles, the Dowager has never addressed a word to me. here, and perhaps even a little more. 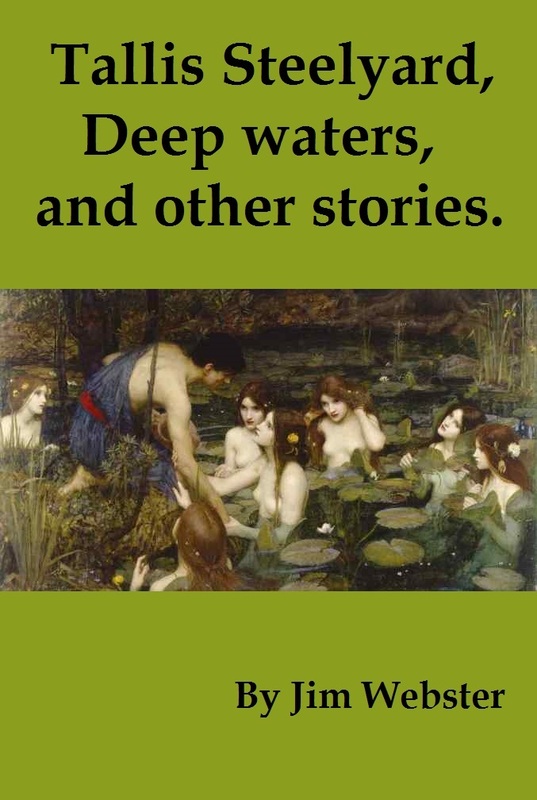 Tallis Steelyard, Deep waters, and other stories. the great question, who are the innocent anyway? Tallis Steelyard. 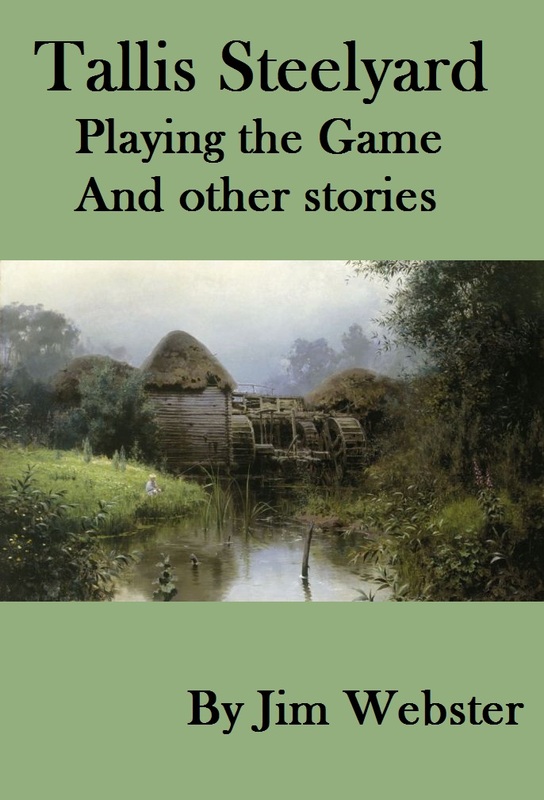 Playing the game, and other stories. of Callin Dorg. Beware of the dangers of fine dining, and of a Lady in red. Benor was walking down Slip Pike Lane at a steady pace. Anybody watching him might have noted that his stride was precise, each step exactly the same length as the last. Somebody particularly observant might have noticed that every ten paces, Benor made a mark on a piece of paper with an indelible pencil. At this point they might have realised that they were witnessing a cartographer at work. original houses were all quite large and now virtually all of them have been divided into apartments. Benor quite liked the area, the houses were solid, everything looked reasonably well maintained and the people put on a brave face and made the best of a very modest prosperity. One house had caught Benor’s eye. Perhaps alone of all the houses on the street it appeared to be derelict. There was no glass in the windows, there were slates missing off the roof and the door hung open. When he’d looked inside previously, it appeared utterly deserted, there wasn’t even any evidence of it being squatted in. As he passed it this time he noticed two men come out. One could have been a clerk of some sort but the other Benor thought he recognised. It was Gumption Silvernant. Tallis had pointed the man out to him and described him as the meanest miser in Port Naain. He was currently engaged in conversation with the other man. enough friend. Now you were saying about decent second hand timber?” “They’re stripping a lot of timber from the sheds by the Graving Dock. Some of it looked decent.” The miser looked at his clerk of works. The other man shrugged. “I can go and look; we will always have a job for it. But it’s still money wasted if nobody will live in the house.” With that he left. Benor was too dumbstruck to reply. He wasn’t sure whether Tallis would entirely believe him if he were repeat this lecture to the poet. Benor had given some thought to his preparations. He took a lantern, some candles, the makings of a fire, and some bedding. He made no secret of what he was doing, brushing out the floor of the main downstairs room and generally getting things as comfortable as possible. One of two of the passers-by slowed down to watch him, one lady shook her head sadly, but nobody stopped to speak. Finally he went out and bought a meat pie for his evening meal. At this point Mutt materialised with two rather more superior meat pies, cheese, some almost fresh bread, and two bottles of beer. After eating, Benor made his bed up in front of the fire. He lay with his head nearest the door, which he proceeded to prop closed once Mutt had made his excuses and left. He read for a while and finally decided it was time to go to sleep. He stoked the fire up and after some thought left the candle burning. He lay there for a while and soon dozed off. After all, in his wanderings he’d slept in far less salubrious surroundings. of an incontinent dog with flatulence. Poking the fire achieved othing. Benor pulled the blankets round him and looked round the room. here was no sign of anything. He lost track of how long he’d sat huddled, close to the fire. The stench was now so bad he was afraid to doze off lest he was asphyxiated in his sleep. Then he heard something, the gentle scrape of something moving. He looked into the corner furthest from the door. In the darkness there seemed to be a deeper darkness. As he watched, petrified, a dark shape coalesced and seemed to reach out towards him. He felt something brush his ear lightly. It broke whatever dark enchantment was keeping him in place. Early morning found Benor arguing with the porter on the gate of the Temple of Aea in her Aspect as the Personification of Chastity. “It’s where the apprentice dancers sleep. You go in, they’ll scream fer fun. Mutt disappeared and Benor stood very still and tried to fade into the shadows. On the other side of the door he could hear shouting. Somebody even tried the door, but Mutt had obviously locked it again. 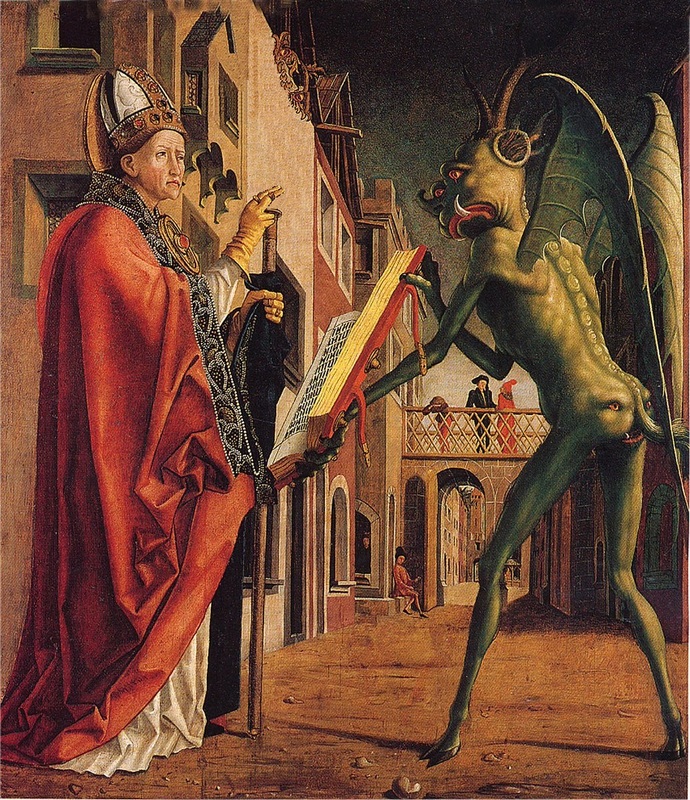 demonologists this city has seen, an exorcist needs all the help they can get.” He flicked through the pages. “Here.” He paused to read. “Oh, you’ve got a good one. No less a person that an Arch Hierophant of Aea was accosted on Slip Pile Lane by a demon, in daylight, no less than five hundred years ago.” Shaleen explained to Benor, “That’s about as senior as you can get, the priests of Aea undivided are few and far between. Not every generation produces one.” The Hierophant was reading. “They don’t make them like this any more. Listen, it’s written by the man himself. ‘I met the demon with a stout heart and recited the six rituals of banishment. Then, strong in the faith, I abjured it, spurned it and rejected it. Finally I struck it repeatedly with my staff until it fled.” Benor said, “Was his staff a magical artefact or something?” Shaleen said, “No, heavy oak with a solid brass head; it isn’t what you’re wielding, it’s who does the wielding. Urlan can banish a demon with an ordinary steel blade.” The Hierophant stood contemplating the text. “I think I know the priest for this one. He’s the only priest of Aea undivided still living.” He turned to Valerin who was standing quietly next to Mutt near the door. “Girl, please ask Faldon if he would come to see me. Then take the young gentleman with you, yes the one who appears to be appraising the silverware on the occasional table, and go and get something to eat. bedding, brooms and similar household impedimenta.Finally arriving at the house Benor tried to lift the chest. It was longer than he was tall. He stopped. “This will take two of us. I thought priests were supposed to be sworn to poverty.” “That’s the temple we’re bringing with us. The bag contains my kit.” Faldon took the other end of the chest and tried to lift it. “Look we’ll open the chest on the cart and empty it that way. But first we’ll get the room clean.” With that he took the broom and set to work with a will on the floor. Benor cleaned out the grate and laid a new fire. The floor clean and the fire nicely alight, Faldon asked, “Where did you see whatever it was?” Benor pointed silently to the corner. Faldon walked to the handcart and opened the chest. “Grab this.” Benor took a rope handle and lifted. Together he and Faldon manoeuvred a small stone altar into the corner of the room. On it Faldon placed three candle sticks and lit them. He turned to Benor. “Can you cook?” “After a fashion, I’ve fended for myself in the wilderness.” “Seems appropriate; in the chest there’s a bowl containing a mess of meat and beans which needs warming through. I think you’ll find some fruit there. It’ll feed two. Silvernant stared at him. “Damn me but you said that without the trace of a smile! somebody reading a book wants to know about the author. After all, I as a writer have gone to a lot of trouble to produce an interesting world for my characters to frolic in. Hopefully the characters and their story pull the reader into the world with them. So does the reader really want me tampering with the fourth wall to tell them how wonderful I am? Indeed given the number of film stars and writers who have fallen from grace over the years, perhaps the less you know about me the better? Still, ignoring me, you might want to know a bit about the world. 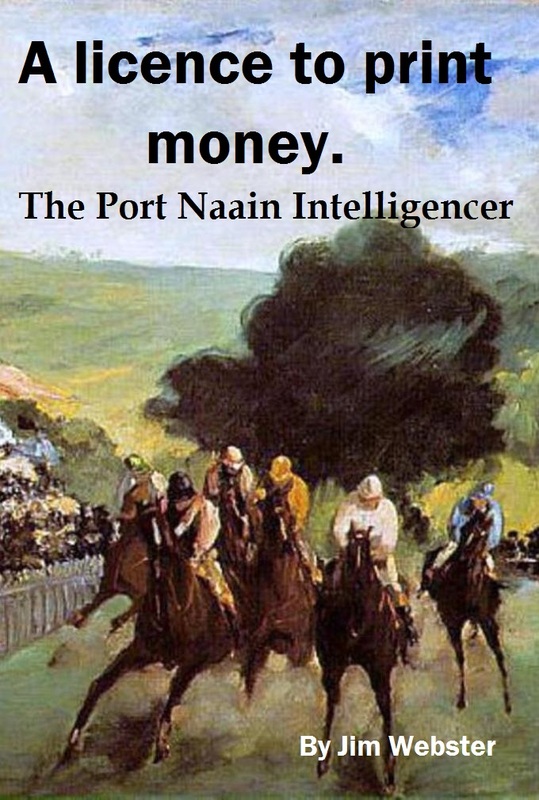 Over the years I’ve written four novels and numerous novellas set in the Land of the Three Seas, and a lot of the action has happened in the city of Port Naain. They’re not a series, they’re written to be a collection, so you can read them in any order, a bit like the Sherlock Holmes stories in that regard. decided I’d like to put together a blog tour to promote it. But what sort of tour? Then I had a brainwave. I’d get bloggers who know Port Naain to send me suitable pictures and I’d do a short story about that picture. It would be an incident in the life of Benor as he gets to know Port Naain.Except that when the pictures came in it was obvious that they linked together to form a story in their own right, which is how I ended up writing one novella to promote another! In simple terms it’s a chapter with each picture. So you can read the novella by following the blogs in order. There is an afterword which does appear in the novella that isn’t on the blogs, but it’s more rounding things off and tying up the lose ends. Given that the largest number of pictures was provided by a lady of my acquaintance, I felt I had to credit her in some way. 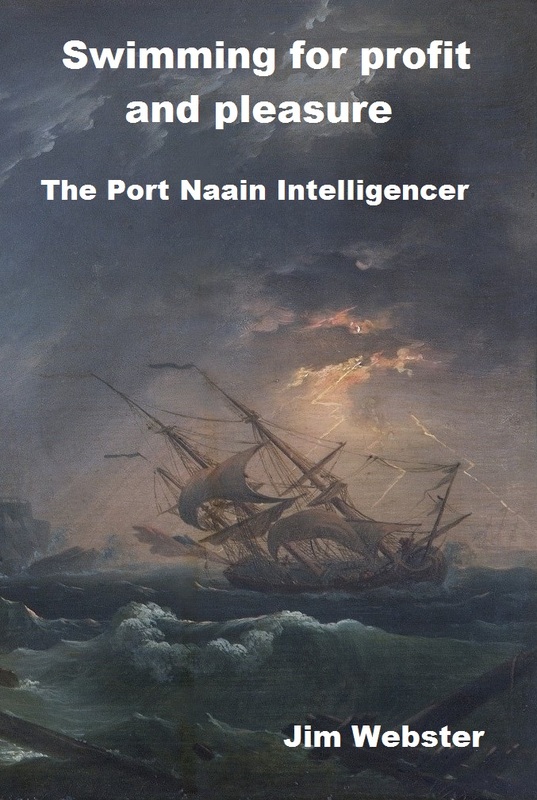 So the second novella I’m releasing is ‘The plight of the Lady Gingerlily.’ It too is part of the Port Naain Intelligencer collection. Benor learns a new craft, joins the second hand book trade, attempts to rescue a friend and awakens a terror from the deep. Meddling in the affairs of mages is unwise, even if they have been assumed to be dead for centuries. things were getting out of hand when somebody attempted to drown him. Charlon Drane is the eldest son of Garrat and Taffetia Drane. This often comes as a surprise to those writers and poets who consider that his arrival in this world was due to him being summoned, like a particularly necrose demon. Indeed I have heard some speculate, in all seriousness, as to whether he was born or spawned. Various unlikely and undoubtedly blasphemous unions have also been suggested. Yes I have it on excellent authority that as a child he had a remarkably open and sunny disposition. Indeed those who knew him then always stress how he was such a joy to be with. A happy laughing little boy, utterly devoid of cynicism or malice who, even into his late teens, seemed determined to see the best in people. Thanks to the excellent education given to him by his mother, he loved nothing better than reading and could always be found with his nose in a book. Indeed if he ever went missing, his mother always knew where to find him. He’d be sitting in a quiet corner of Alen Gaetz Books, his nose stuck in some dusty second hand volume. Thus when they were looking for somebody to edit the Port Naain Literary Review he wasn’t an entirely remarkable choice. Yes, at the time he was a usurer’s clerk and only in his mid twenties but still when the editorial board interviewed him they were won over by his natural charm and his obvious love of books. high standard for his contributors. Unfortunately, to put it bluntly, when he entered upon his new profession, he was an innocent abroad. There he was, a commissioning editor with a budget out of which to pay contributors. Writers clustered around him like rakes around the drunken chorus girl at the society wedding! Had they merely approached him soberly, he could have coped. A nicely written proposal would have elicited from him a sober letter of acceptance, or alternatively a polite refusal. Instead he had writers of all genres and genders offering him sexual favours! He had poets standing in the street outside his bedroom window bellowing out their verses in the middle of the night. from his latest poem, on the tiled wall in wax crayon. On one occasion he took a sedan chair and discovered he’d been hijacked. The bearers locked the doors from outside and he was forced to listen to a novelist read large excerpts from his three volume novel. Then there was the issue of unsolicited submissions. Initially he made it his rule to actually ready them. He felt that if the Port Naain Literary Review was to live up to it’s name, it ought to review things. So, on his first day in the office, he sat down next to the pile of manuscripts, picked up the first one and commenced to read. Forty minutes later, his head swimming, he put the manuscript down. The author seemed to have written it using a system of spelling and punctuation known only to herself. He wrote a brief note, suggesting that the author find some kind friend to help her in this area and had it sent back to the return address on the envelope. The next manuscript was easier to read, but that was perhaps a disadvantage. 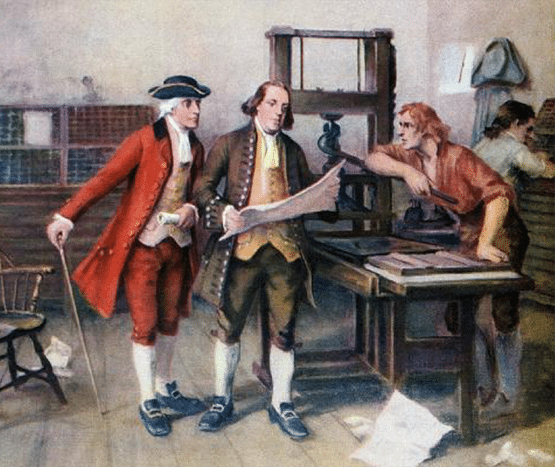 The writer had presented their diary for publication. In some cases this is an excellent idea. More than one lady has discovered the truth of the old saying, ‘keep a diary and one day your diary will keep you.’ Yet this presupposes that the keeper of the diary has actually done something worth hronicling. In the case of this writer, the highlight of one week was a successful bowel movement. This was sent back with a brief note saying that the editor felt that Port Naain was not ready for such dissipated excitement. He worked steadily through the day, sending perhaps a dozen manuscripts back to their proud authors. That night he retired to bed feeling that in some small way he might have done something to improve the standard of literature in Port Naain. Whilst not rendered smug by this observation, he did at least allow himself a warm glow of self-satisfaction. Next morning he was besieged by the writers whose work he had critiqued the previous day. Each wanted to debate his comments in detail, in some cases with a stout cudgel in hand. Charlon was forced to leave his office by window that opened out into a little used alley way. In retrospect this may have been the last straw. Next day he instructed one of his clerks to place all unsolicited manuscripts into the coal scuttle. These he would toss onto the fire whenever the room started feeling chill. By taking this simple step he felt he’d improved the standard of literature in Port Naain immensely. Then there were the published works to be reviewed. To be fair, some work published in Port Naain is published by a publisher who spots a book that will sell and invests their money in it. On the other hand far too much work is published by the author, or by a moneyed friend over whom the writer has too much influence. This second category can include some excellent work. My own Lambent Dreams falls into this category. On the other hand it includes an awful lot of dross. Charlon picked up his pen and reviewed them all. He held nothing back. His reviews were the work of a man who had been seen the future and who knew it was likely to be far worse than the present, unless he took a stand. My own Lambent Dreams was described as, “A gratifyingly slim volume.” I confess that in the circumstances this seemed almost like praise. From that day onwards Charlon has remained sternly acerbic. Anybody attempting to enter his office without an appointment is summarily ejected by two of the largest and most muscular clerks I’ve ever met. It has to be said, whilst he is not loved, it is generally agreed that he has done wonders to his magazine’s circulation. Whatever the quality of the books reviewed, the standard of insult remains gratifyingly high. And now the hard sell! people and pillars of the community. Or perhaps not. Rather than a collection of his anecdotes, this is indeed an ‘adventure’ as Tallis ventures forth from the city of Port Naain. Questions are asked that may even be answered, why is Tallis ‘run out of town’ by hired ruffians? Why does a very sensible young woman want his company when plunging into unknown danger? Who or what was buried in the catacombs? And why has there been so much interest in making sure they stay dead? 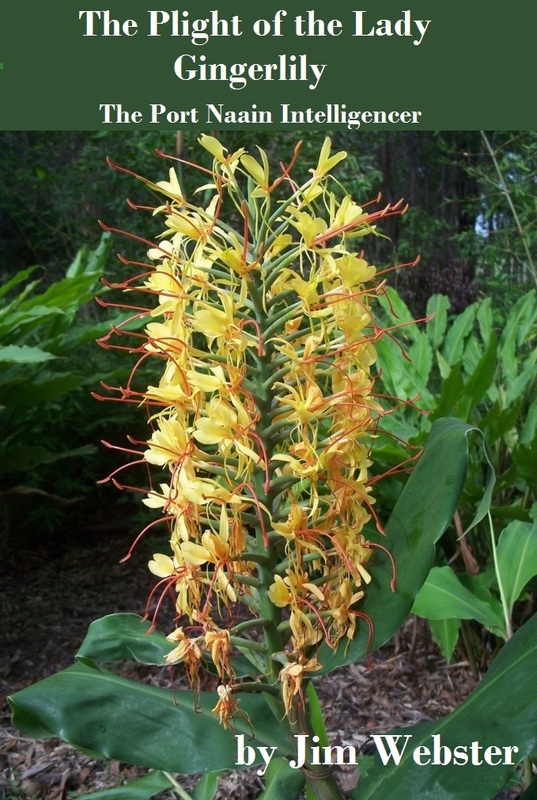 Also featuring flower arranging, life on the river, and a mule of notable erudition. Treat yourself; you know you’re worth it! you worked out whodunit yet? So here we are at the end of the story, everything done and dusted. against corrupt officials, bent bookies, and all manner of other problems. and stuff. Or perhaps not? checking that his long knife was in its sheath. Once in the kitchen Benor surveyed the room by the light of the dying fire. his other hand. He then climbed slowly up the stairs. knife but didn’t want to draw it lest the blade catch the light. into the room. Grayer Thirsk, lantern raised, was stalking towards the bed. His sister sat up abruptly, naked at least to the waist. She flicked aside the bedclothes to reveal Arad Branwit lying next to her. passage and drew his knife. table, “Pimping. You’ve been sniffing round her ever since she was sixteen. nimbly before swinging the jug at Grayer’s head. Somewhat surprised by the change of tack Benor looked at the clock. was the only living soul he felt any affection for here. She led Benor out of the stable yard and down a path to a copse by the beck. Ella was looking at Benor intently, trying to read his face in the gloom. Not sure if it grabs me. had taken in his stride, asking for little in return. under-spiced, and at the worst, it was uneatable. Steelyard, he was attending the meeting of a gentlemen’s dining club. followed by a slow cooked joint, so tender the meat fell off the bone. important business of talking and drinking. wondering where to sit when Tallis approached him with Grayer Thirsk. one of the decanters, apparently chosen at random. side of the mountains was a savage barely capable of conversing in grunts. lady in the coach, it would be easy to run up debts. doubts as to its veracity. them ever crossed the path of a poet. to get through. He assessed the placing of the furniture. was a downspout which appeared firmly fastened. hand he reached out and tugged at the downspout. It appeared well attached. turning as he did so and dropping gracefully down onto the sideboard. It had all the makings of a long night. Between ourselves I assumed that everybody knew the tale of Ralmano and Jellet. 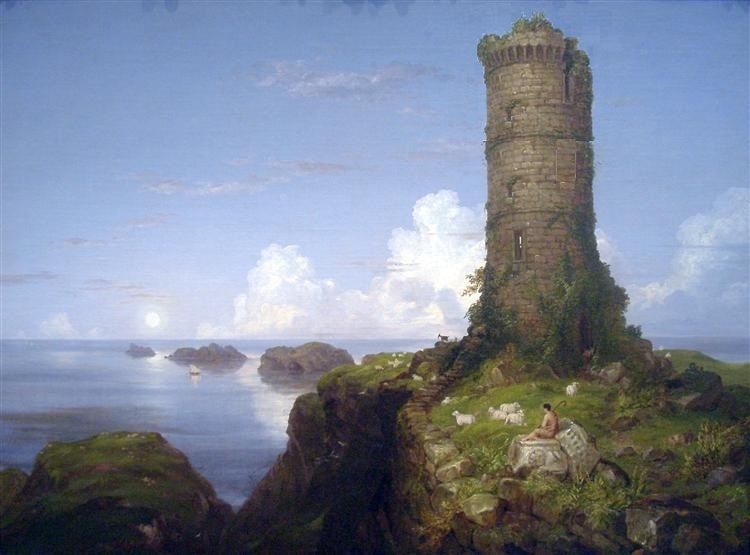 Apparently not, but at least this painting of Jellet’s Tower gives me a chance to tell you the tale. Jellet’s tower, as painted at its most bucolic by our host at this exhibition, Andeal Willnoton Quillabin, is situated deep within Partann. Indeed, many would claim that it’s so deep within Partann that it’s in Uttermost Partann. Geographers and historians bicker about this because the tower is north of the town of Chatterfield, and as these things are measured, Chatterfield is reasonably civilised and law-abiding. Still it is a town with a hinterland thronging with brigands, bandits, extortioners, pirates and general-purpose rogues. There again the same can be said about Port Naain and nobody thinks the worse of us. But to cut to the chase, the families of Ralmano and Jellet lived in the area around Chatterfield. If my memory serves me right the story happened perhaps five hundred years ago. At that time, geographers and historians notwithstanding, Chatterfield was the capital of Uttermost Partann, and all the aristocratic families in the area would have a house within the town so that they could intrigue and stab each other in the back, surrounded by all the comforts of home. Note that by ‘aristocratic’ we really mean that they had numbers of armed retainers and the land to support them. It has been said by some sceptics, (mainly dwelling safely in Port Naain) that in Uttermost Partann having a pedigree that extends back more than four generations without including a cousin or brother-sister marriage qualifies you as a member of the aristocracy. Still by local standards the families of Ralmano and Jellet were aristocratic. Like many others of their ilk, they would foster out their children to other families, thus creating a web of alliances secured by hostages of varying worth. Thus, while the families of these two children had been feuding for at least four generations, the children themselves were placed with families who were not involved in the feuds. This meant that fostering served a useful social function in that young people got to meet and mingle with the scions of other families away from the constraints of the feud. It also meant that the children of these feuding families got to know each other as real people. Thus, when they grew old enough to take part in the feud, they knew exactly who they hated and why. In a way, the Partannese are most enlightened. In other places feuds are passed down through the generations and people forget exactly why the feud started. In Partann each generation not only gets to learn the causes of the feud, they also get to know and dislike members of the other family as individuals rather than merely hating them as part of an amorphous group. After this at the next social function, Jellet snubbed Ralmano, cutting him dead over the fruit punch, and danced all night with Kalwan Jiddle. Not to be outdone, Ralmano cut Kalwan Jiddle dead, literally, in a street brawl, and had to flee Chatterfield and seek sanctuary on the family estates. Now that might have been that, but Jellet and Ralmano continued to exchange letters. These were a mixture of threat, gloating over family successes in the feud, concerned inquires after the other’s health and tender best wishes for the future. Still life continued, both married; Ralmano twice. Yet they continued their correspondence and (on those occasions) when they met, at functions where well meaning outsiders attempted to settle the feud, Ralmano and Jellet would dance, talk and even dine privately together. Finally, Jellet’s scandalised family had had enough of this; they felt that in her fifties she ought to know better. So, they banished her to the tower we now know as Jellet’s Tower. Ralmano was outraged! 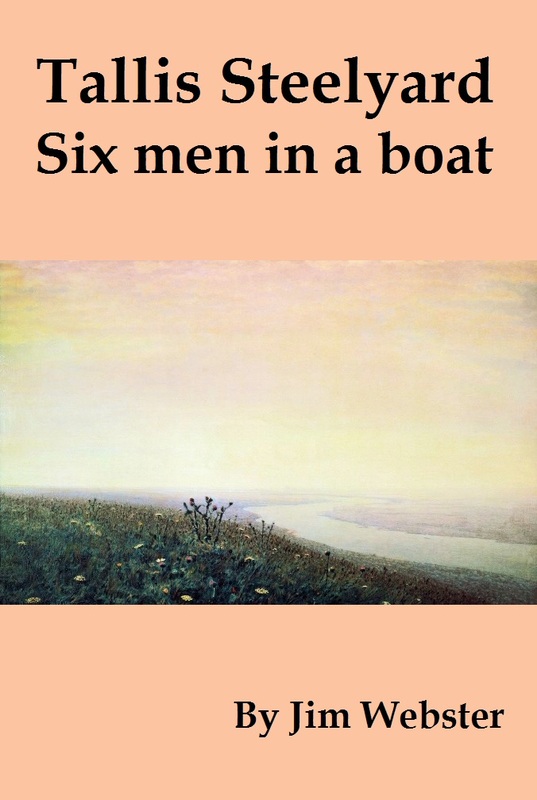 He gathered together a score of good hard men and with them he manned a small raiding galley. One night with no moon he beached the galley on the shore below the tower. Then attacking with the advantage of surprise his men overpowered the guards and freed Jellet. Jellet took Ralmano to her bedchamber at the top of the tower and as the sun rose, showed him the view. Out to sea stretched the Dog Stud Rocks. The whole coast was a playground for shallow draught vessels, and from the top of the tower you could see for miles. No boat could slip past without being seen. And so was born a pirate dynasty. Actually, one of Ralmano’s daughters married one of Jellet’s sons and for several generations they plied their trade along the coast. Finally, the inevitable happened, they grew so prosperous that respectability claimed them and Jellet’s great-grandson moved out of the tower and North to Prae Ducis. Now the tower stands empty, but legend insists that if you spend a night in the top room of the tower you will hear the giggling as Jellet and Ralmano run their fingers through chests of gold and gems. 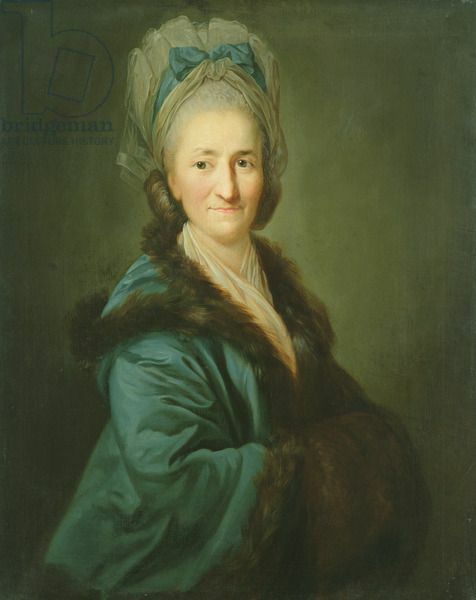 Tallis Steelyard. 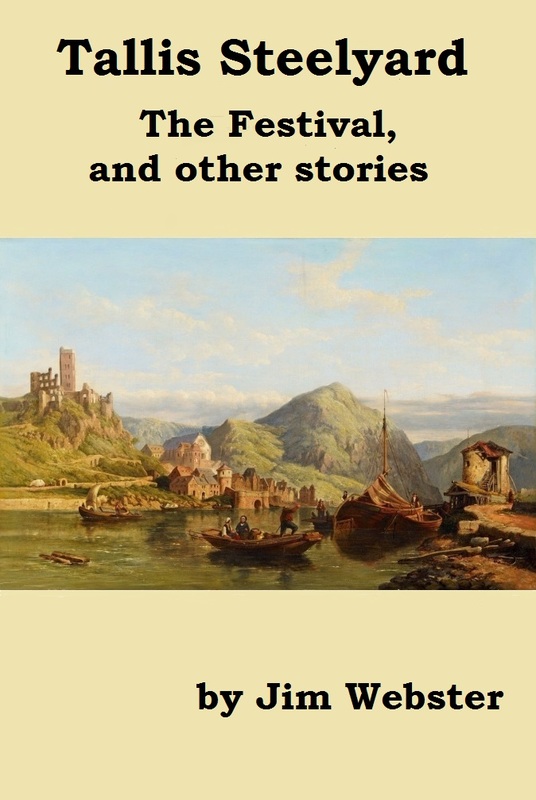 The Festival, and other stories. charming and elegant once you know how. For a mere 99p all this and more can be yours.